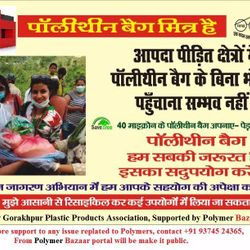 Join POLYMER BAZAAR initiative to save Plastic Industry ,we are forming an active platform to propose suitable solutions to Govt. & Non. Govt. bodies to consider Plastics " The Material of Era " & permit FREE usage with out any prejudice. We are Planning to start Whatsapp Group/broadcast to keep in touch & share important news,Govt.declaration & ban related issues only. Give Yr details to serve Polymer Industry,best we can. How will you support an association to fight diff. issues of Industry? How much time can you devote for association activities?